Another brilliant review for our London E1 | Shoreditch reformer pilates studio, thanks to Naomi. It’s a new year and we are all making resolutions for 2018. Here, our fantastic trainer Gina gives her tips on our resolutions, health and workout suggestions. TP: It’s a busy time of the year. How do you like to zone out and destress? Gina: I love meditating first thing in the morning when I get up. It really helps me relax and gives me positive energy throughout the day. TP: What advice would you give to help achieve the goals we’re all set for 2018? Gina: Whenever you set goals you have to write them down. Start with one or two goals and make them realistic for you. Also, make sure it can be measured. Meaning a goal that you can see proof of when it’s accomplished. Also, hold other people accountable for this goal. So, tell one or a few friends about this goal and tell them the time limit you have put to achieve it. TP: Tell us about your Pilates retreats. What are you planning for 2018? Gina: I will only do one pilates retreat next year. But I am still looking for a nice and fun location for pilates and hiking. I will keep you all up to date and add fliers at the studio. TP: How should people stay body confident? Gina: First of all, we should all love ourselves no matter how we look. The most important thing to stay body confident is to eat and healthy balanced meals and exercise. TP: What’s the muscle group used the least by the average person? Gina: The rotator cuff muscles that connect the arm to the shoulder. A good exercise for these is to hold a light Dyna Band with both hands and pull apart (literally) as far as your arm can rotate, keeping the elbows next to the ribs. TP: What’s a fitness video/blog post you enjoyed? Gina: This video from John Garey. It’s a full body stabilizer, works the core muscles arms chest and it’s very challenging). TP: Which health/fitness book would you recommend? Gina: The China Study by T. Colin Campbell is a book on health and diet, the most comprehensive study of nutrition ever conducted and the startling implications for diet, weight loss, and long-term health. Buy on Amazon.co.uk, click here>. Gina: Seeb – Breathe from the April 2016 playlist. TP: Your favourite holiday activity? Gina: Walking in central London when there are no buses and traffic. TP: Finally, if you could choose only one thing, what’s an important tip you’d like everyone to know before starting Pilates? Gina: Before starting anything, know why you are doing it. If you have a goal as to why you want to exercise you will stick to it and will see improvement. If you’d like more information on her personal training and Pilates retreats, Gina’s website can be found here. A longtime Pilates fan, Joe’s been coming to our London E8 | Hackney and E1 | Shoreditch Reformer Pilates studios for over 4 years. Read about his routine and entertainment recommendations below. 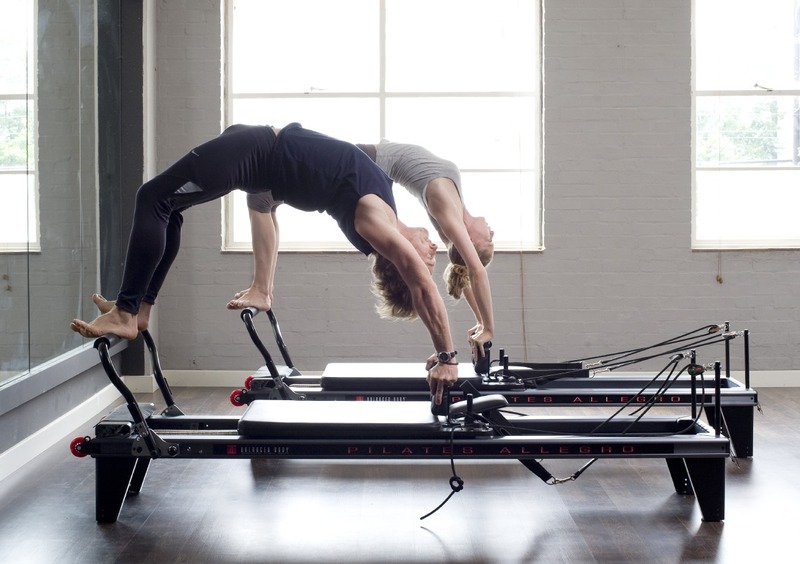 After getting bored of mat Pilates, I joined Tempo Pilates in 2013. Ignoring a few lengthy chunks living outside London, I’ve been coming ever since. I try and come every other day, schedule permitting! Michael Jackson’s Off the Wall is one of my favourite albums, which makes footwork to Burn This Disco Out a treat. I recommend Matilda the Musical to any Roald Dahl fans out there! Do you have any favourite local places for food and drinks you can recommend? The greatest breakfast place on earth is Fingers Crossed on Amhurst Road.